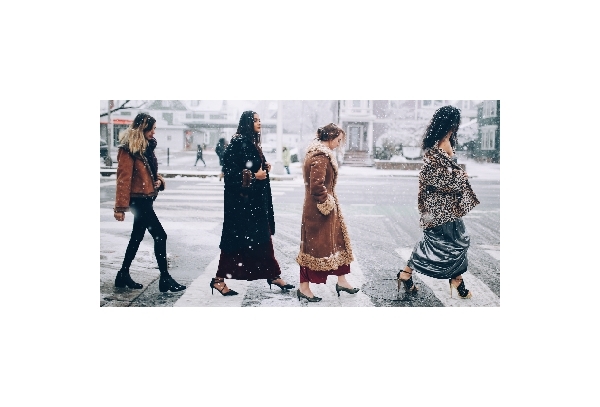 Raspberry Beret is a boutique that specializes in new and consigned women’s fashion—a go to for modern style, classic vintage, and luxury clothing and accessories. We love labels, and aim to bring high quality fashion to our customers at a fraction of the cost. All of our items are in excellent condition and have a unique quality and style. Visit both our locations in Cambridge and Maynard, MA. In addition to our two brick and mortar stores, we list many high end items online through Poshmark. Using this platform to reach a national buyer market increases the likelihood of these items being sold, and consignors getting paid! It’s also good news for Raspberry Beret enthusiasts who have relocated or can’t get to one of our locations but still want to score that perfectly broken in pair of Dansko’s or that vintage Gucci bag in their *favorite* color. Click below to be redirected to our closet! All consignment is taken by appointment only. Appointments are easy to make, and are the backbone of Raspberry Beret’s consignment process. Appointments can be made in person, by phone, or by e-mail. Both locations operate on different consignment schedules. Reach out to your local Beret to learn more about appointment availability. It’s a good idea to get an appointment on the books in advance. During our peak seasons (April-May, October-November), appointments book 3-4 weeks out. Consignors may bring up to 25 items to an appointment. All items should be brought to the store in a reusable bag or suitcase. Items brought in trash bags will not be considered. We prefer items folded neatly in bags over items on hangers and/or in garment bags. Each consignor is required to sign a Raspberry Beret consignment agreement at their first appointment. You’ll find links to download the document(s) at the bottom of this page. Read, print, sign at home if you like! All items must be in excellent condition. Raspberry Beret does not consign items with holes, stains, odors, broken or missing closures, or any other signs of damage. Items should be cleaned prior to your appointment. Raspberry Beret does not offer a cleaning service for our inventory. Items are priced at about 1/3 of their retail value. Condition, seasonal needs, brand/trend research, and supply and demand are all taken into consideration when pricing each piece. We do not offer pricing on the spot at appointments. Raspberry Beret is a high-end consignment boutique. Both locations have their own personality. Certain brands and styles may sell better or worse depending on location. Maynard is a hot spot for preppy brands like Lululemon, Boden, and Kate Spade. Cambridge caters to a more urban, outside-the-box shopper, selling a higher volume of vintage and brands like Marimekko, John Fluevog, and Free People. Get to know each store by visiting in person, or having a nice long, moonlit scroll through our Instagram(s). Some brands are not accepted, period. Please refer to the Brand Guidelines section for more information about accepted brands. The consignment period is 60 days. We’ll give your items two months on our racks to find a new home. Consignors earn 40% of the sale price of each item during the 60 days. Items may be subject to mark downs (i.e., special events, end of season sales, holidays, etc.) at the discretion of the store. After 60 days, any unsold merchandise is considered expired and becomes property of Raspberry Beret. Unsold items are donated to MassAppeal Int’l at the discretion of the store. Only items priced by Raspberry Beret at $50 or more are eligible to be returned to the consignor. These items will have a retail price of $200 or more within the last 5 years. You’ll get a 15% discount when you use your store credit! You get to stretch your dollar a little farther this way. Consignors who opt for a check are put on a payout list concurrent with their 60 day expiration date. You will be asked to indicate the method in which you would like to receive your check: mail or pick up. Checks are written on the 1st of the month in Maynard, and the 15th of the month in Cambridge. Checks are available to be picked up on the 5th and 16th respectively, and are mailed on the 6th and 20th, respectively. Raspberry Beret does not do early payouts. Office attire. Pleated slacks, basic blazers, and starchy button down blouses can be left at home. Lightening fast fashion. Labels from outfitters like Old Navy, Forever 21, H&M, Target, Walmart, and Charlotte Russe are not accepted. Bridal. We don’t sell traditional wedding dresses. Bridesmaid dresses can be iffy as well, especially if they have been custom tailored. Outdated fashion. Look, we know DollsKill brought Delia’s back from the dead and platform flip flops are *actually* being sold in 2019, but our bread and butter is true vintage and high end contemporary. We try to keep up with the trends, but, really, what were we thinking in The Aughts? Cash buyouts are a great way to get paid for cleaning your room. If you’re looking for quick cash (or store credit) or only have a few items to sell, cash buyouts are for you. Buyout prices may be lower than the 40% you could earn when consigning, and typically do not exceed $10-12 per item. Sellers at each buyout are served on a first come first serve basis, with no appointment needed. Cambridge buyouts are held on the first Sunday of each month, from 12-4pm. Maynard buyouts are held on Tuesdays from 11-1pm. Clothing condition, brands, and quantity are the same as our consignment requirements. Please be aware that there may be a 10-20 minute wait time. Raspberry Beret has helped women update their wardrobe, find an outfit for a special event, and keep style thriving in the greater Boston area since 2005. Items featured in each store are chosen from both consigners and dealers. With two locations each boutique has its own style, personality, and personalized shopping experience in a welcoming atmosphere. 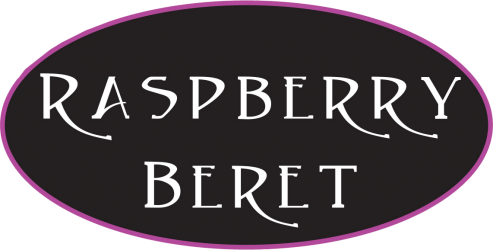 Located in Cambridge and Maynard, Massachusetts, Raspberry Beret makes it easy to buy and consign high end and vintage fashions locally. Raspberry Beret is owned and operated by Rachael Bankey, whose distinctive eye for style shapes the each store’s character and design. We at Raspberry Beret believe that consumers have a social responsibility to balance fashion, economics, and the environment. American throws away 13 million tons of textiles each year, accounting for 9% of total non-recycled Piles of wasted clothing, often in great condition, clog the landfills. Shopping at stores like Raspberry Beret reduces the stress placed on the environment. Textile recycling is easy, and beneficial to both the environment and your wallet. Many high end labels will charge thousands for pieces that you can find in our store in perfect condition at economical prices.